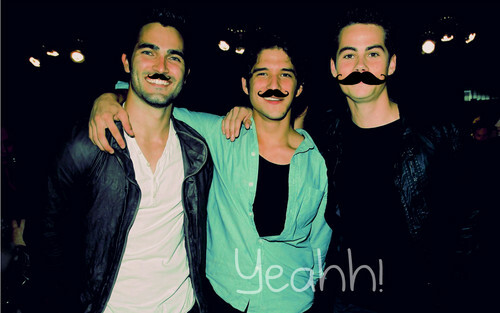 Tyler Hoechlin, Tyler Posey and Dylan O´Brien- Yeahh!. . HD Wallpaper and background images in the Teen lupo club tagged: teen wolf season 1 code breaker teen el0508 mtv 2011 wolf cast. This Teen lupo wallpaper might contain occhiali da sole, occhiali scuri, ombre, sfumature, ben vestito persona, vestito, vestito di pantaloni, tailleur pantalone, pantaloni tuta, tuta, and persona ben vestita.